A few posts back I reviewed the really nice Paint River Forks Campground in the Ottawa National Forest and said I would definitely be back and I got pretty close sooner than I thought I would. 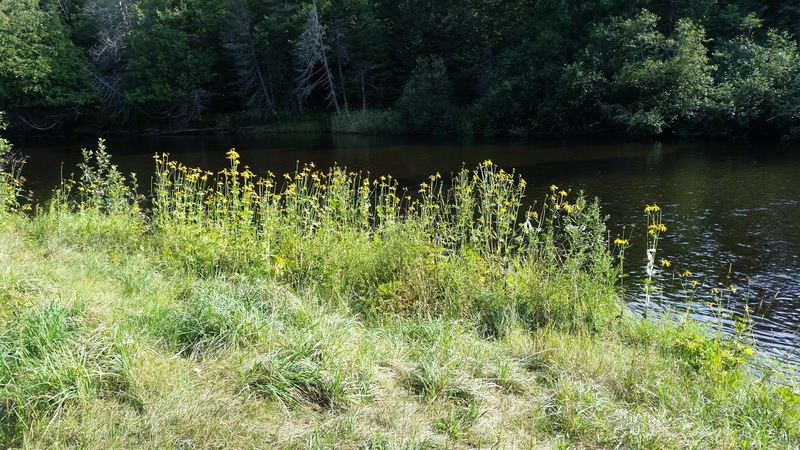 If you read that review you might remember a picture of a sign announcing a canoe route downriver to the Blockhouse Campground five miles away. 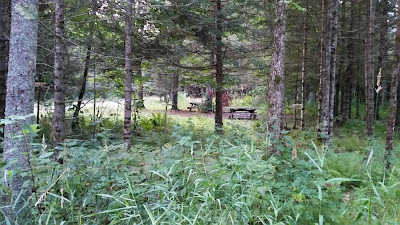 The Blockhouse is also a free for 14 days campground the US Forestry Service administers and I decided to try camping there on my way out of Michigan's Upper Peninsula. Flowers along the Paint River near the Blockhouse. 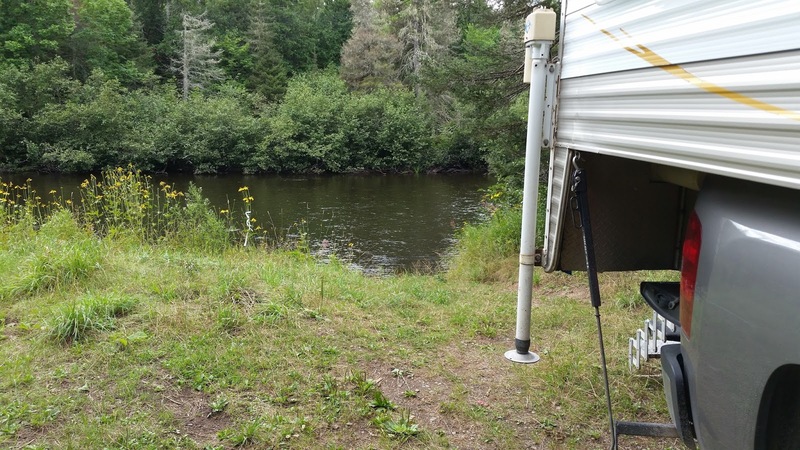 From the town of Iron River, MI you travel 17 miles to the northwest into the Ottawa National Forest and down a four mile gravel road that dead-ends into the Blockhouse Campground which has a grassy two-track loop that passes the TWO, that's right two, campsites that make up the (very) rustic and only lightly used camping/fishing destination. 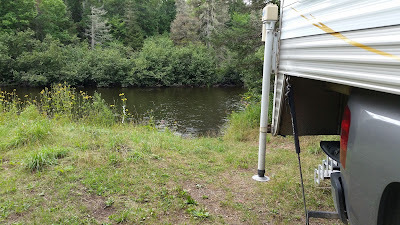 As usual I was the only camper there so the Tank snagged by far the most desirable campsite, I had high hopes since I was parked literally feet from the Paint River. Spin casting from the steps of the Tank? If your rig is wider than the Tank you might have a problem getting into the best of the two campsites as the driveway is "guarded". 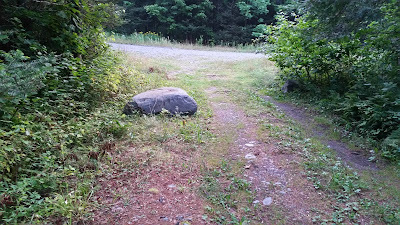 A very large rock that's not going anywhere guards the entrance. 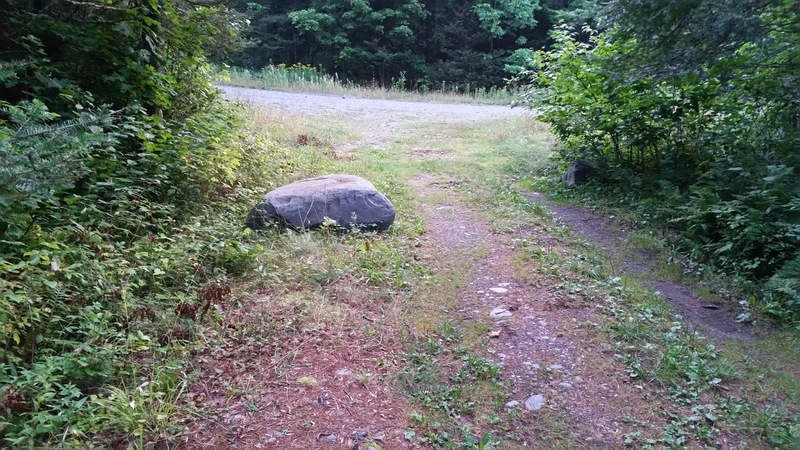 The Tank only just fit by the stone to the left and through some light bushes. As always when camping in probably any National Forest but especially in Michigan, bring insect repellent or you will be going crazy swatting them in a very short time at the Blockhouse. I'm not sure this fire ring was US Forestry Service approved but it seemed OK. 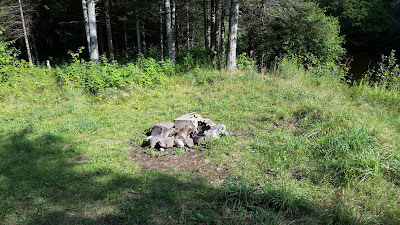 While my campsite at the Blockhouse was fairly open to sunlight (and thus solar power friendly) the other one there was completely shaded and, on a really hot day might be preferable to non-solar equipped campers. 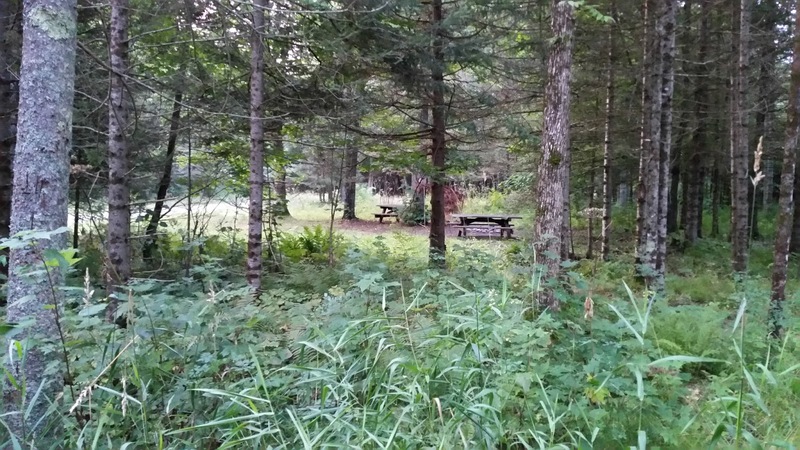 Campsite 2, at the Blockhouse...nice and shady. 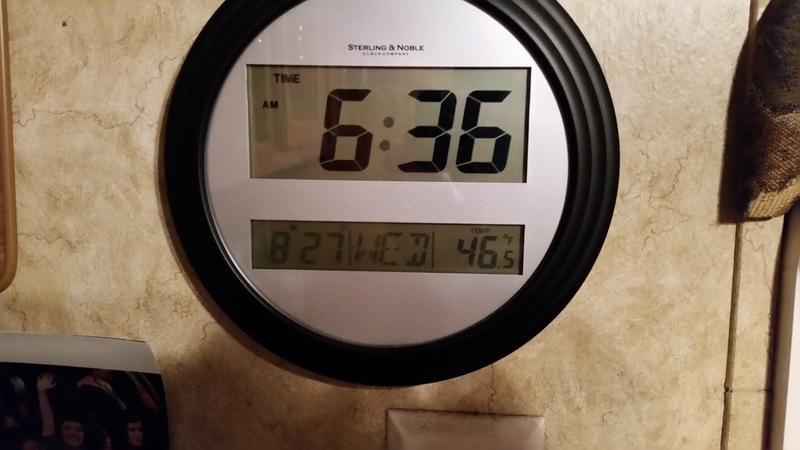 August and 46.5 F INSIDE the Tank...41 outside. 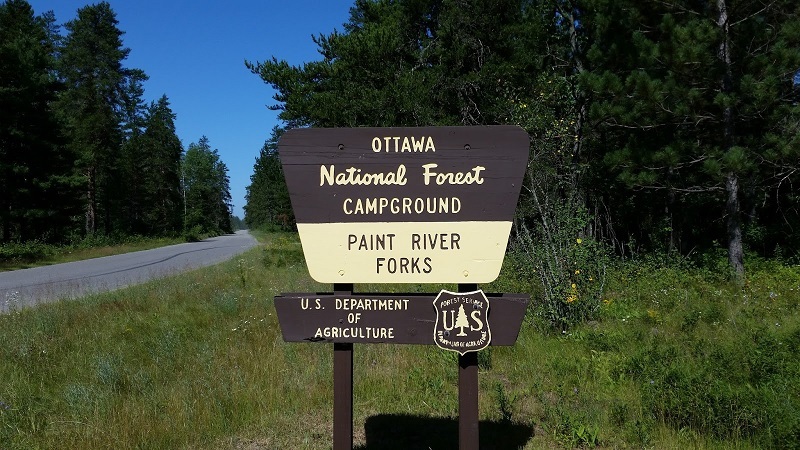 I once again had the Paint River Forks campground to myself and, with cell and internet coverage, found the seven day camping to be the preferred Paint River camping experience of the two campgrounds. But if you really want seclusion go for the Blockhouse.